You don’t have to wander too far to have an outdoor adventure. With apps such as Oh, Ranger! Park Finder, Yonder, AllTraills, Ramblr, Mountain Hub, and Back Country Navigator you can find an adventure within minutes! 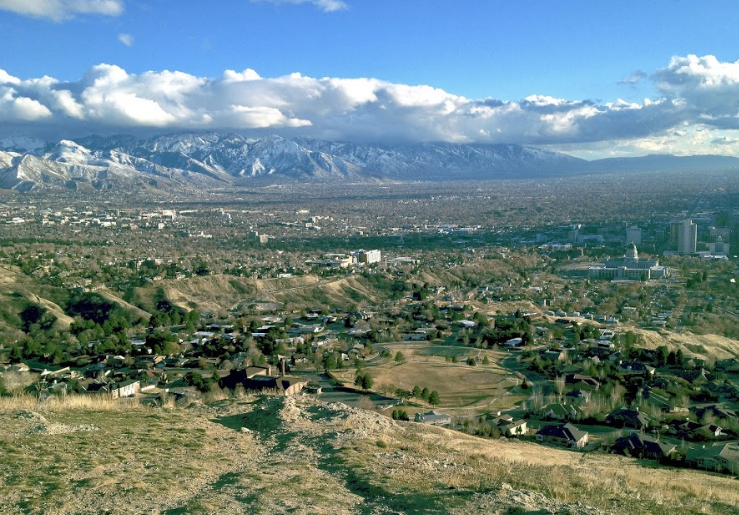 In Utah 85% of the state’s population lives within 15 miles of the Wasatch Mountain range. 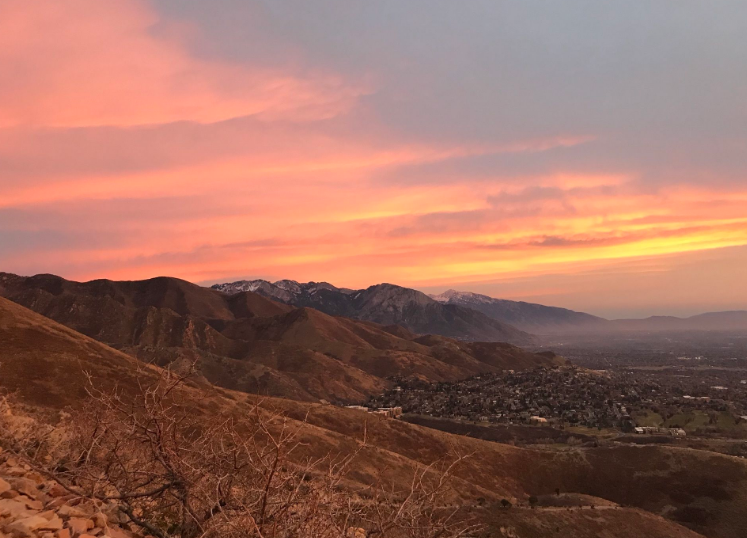 The product of 20 million years of geologic faulting, volcanic activity, and glaciation, the Wasatch Mountains stretch across Utah from the Utah-Idaho border in the north to Nephi in central part of the state. Our towering limestone, granite and quartzite peaks have given us a reputation as a mecca for the outdoor community where you will find world class athletes training year round for their outdoor pursuits such as climbing, mountaineering, backcountry skiing, and mountain biking. As a transplant from Los Angeles, I moved to Utah in search of snow. I quickly fell in love with these mountains. Like many others before me, I have decided to stay for the ease and access to the terrain. I can be skiing within 20 minutes and on a trail hiking within 10 minutes from my home in downtown Salt Lake City. How can you beat that? This iconic hike is ideal for a quickie before work, during lunch, to watch the sunset or my personal favorite once the city lights come on. 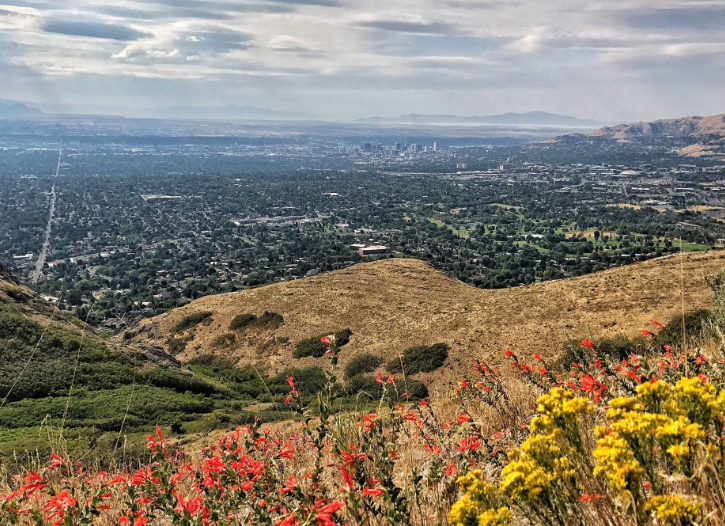 I love to grab my headlamp and run up this 380 feet elevation gain trail to watch Salt Lake City sparkle with the State Capitol taking the center stage. A well kept secret, that even most locals don’t know this trail is absolutely magical in the fall or on a spring rainy day. You will instantly forget that you are in the city! Be prepared to share the trail with bikers and if you are rock climber there is a small sport crag nestled in the hill to your left side about 3/4 mile up the canyon. If you live in the Avenues community you can practically walk from your house to the trailhead. Don’t let the rolling hills of the Avenues trick you. On this hike you will climb over 5,000’ in elevation! A popular date hike, this trail is known for it’s rock formation emulating couches. A great place to bring a picnic and a bottle of wine to watch the sun set over the great Salt Lake! Warning the trailhead is a little hard to find. The peak is memorial for a young boy named Jack Edwards who died of Leukemia in 1995. Once you arrive to the peak (after a couple false peaks) you will find mailboxes and a memorial amongst some rock outcroppings on the north side of the peak. Take a moment to say hello to the friendly buddha statue and write a greeting in the journal. With slow elevation gain and wide trails nestled in the morning shade this feels more like a very long moderate. 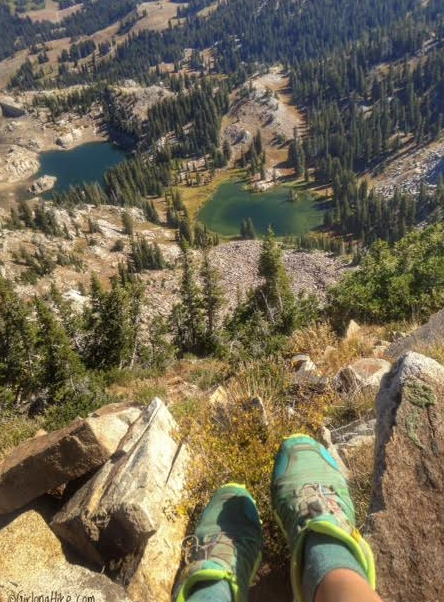 This hike features multiple lakes and breathtaking views of Little Cottonwood Canyon. If you are an experienced adventurer you may continue summit to the top of Pfeifferhorn. A great weekend getaway for a backpacking adventure or during winter with over 600 inches of snow this peak is considered paradise for the backcountry skier. A popular destination for families, this is gem is located at Alta Ski Resort and is best visited during the Wild Flower Festival. Be on the lookout for a variety of wildlife including the moose in residence. 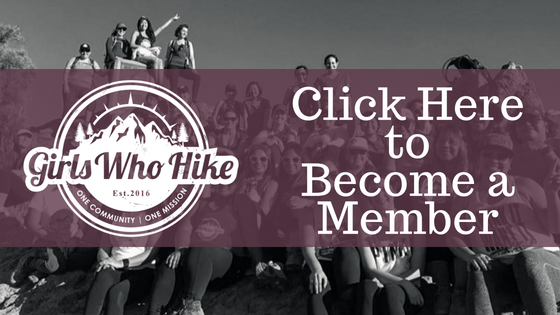 For the advanced hiker you may continue to summit Devils Castle, Sugarloaf or Mount Baldy. This is the best bang for your buck. 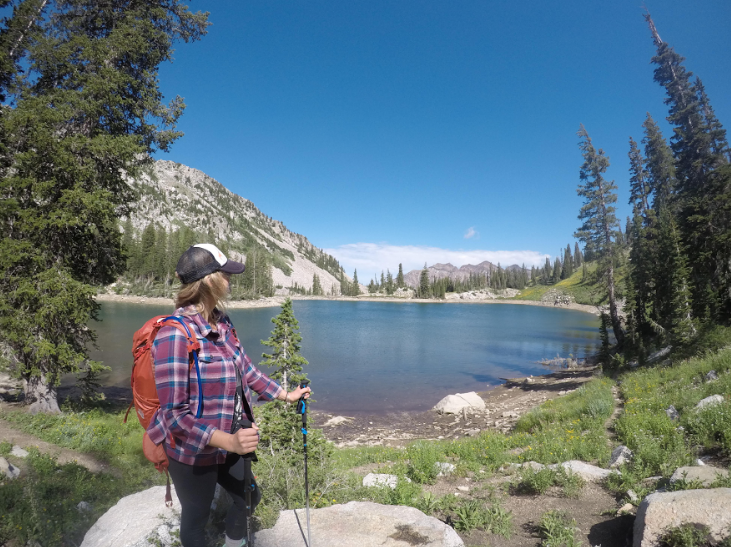 You can knock out up to 6 peaks (Patsy Marley, Mt Wolverine, Mt Millicent, Mt Tuscarora, Sunset Peak and Pioneer Peak), pass 4 lakes (Silver Lake, Twin Lakes, Lake Mary, and Lake Martha) and get some of the best views of the Wasatch Mountain range in Big Cottonwood Canyon. Considered to be one of the challenging hikes in the Wasatch mountain range, this hike climbs 5,672’ in elevation. Full of stunning views from paths through pines, to meadows of flowers and the large iconic 30.5 million year quartz monzonite peering from the ground. Highly advised to bring plenty of water (3+ liters). This life changing adventure is heavily trafficked filled with many water falls, lakes, streams and amazing views. Start early, be careful where you park your car as they do tow and parking WILL be a problem at 4:30am. Why not make swimming your destination? I highly recommend this hike in the cooler months when the crowds thin out. Bring your swimsuit, snacks and plenty of water, you are definitely going to want to hang out for a few hours. Maple Canyon is known as a premier rock climbing destination and often overlooked by hikers. This trail is full of interesting cobblestone rock formations and gives you access to the closest slot canyon to Salt Lake City! Patrycja Witt is the Ambassador for our Girls Who Hike Utah.